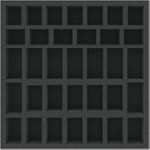 This foam insert is divided into 34 compartments of different sizes. It is particularly suitable for safe storage of various miniatures. Game material such as dice and markers can also be stored neatly here. 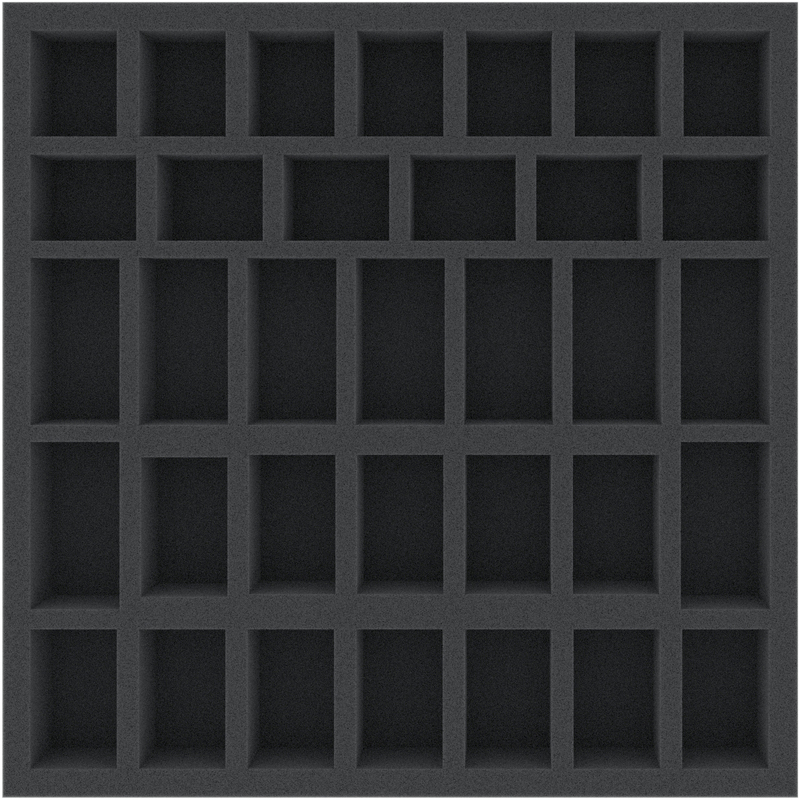 The tray fits into many square board game boxes (e.g. from Fantasy Flight Games). 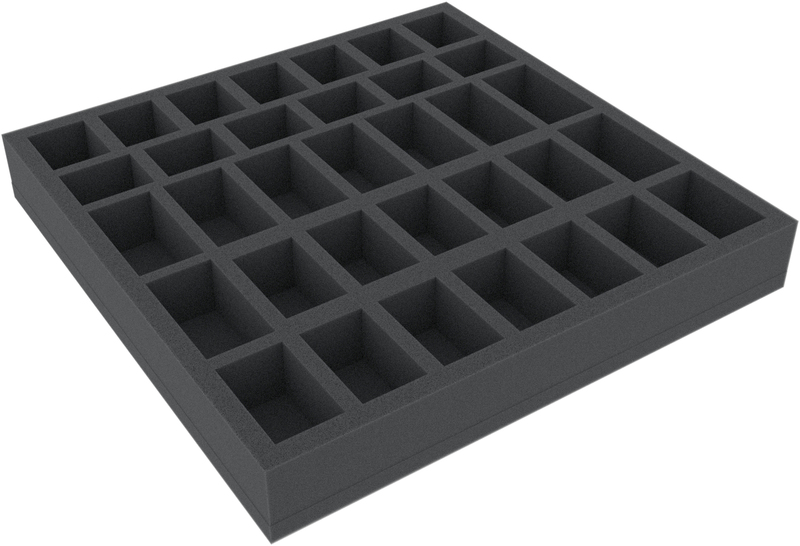 The foam tray has the dimensions: 285 mm x 285 mm x 40 mm total height (30 mm usable height + 10 mm foam base).